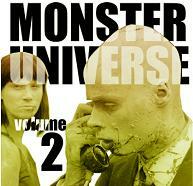 A chapbook of a bunch of short stories set in the "Monster" novel universe. It was given away online in the form of an ebook to fans who bought the Monster Nation novel. It was never otherwise released online or in print.